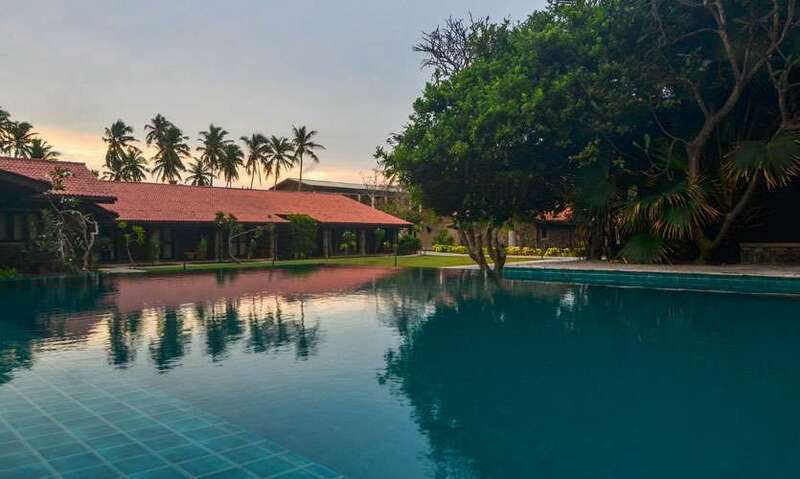 Located in an idyllic setting between the Negombo lagoon and great big Indian ocean, Arie Lagoon is a property which entices you with its understated elegance inviting you to enjoy a luxury holiday, in total privacy. 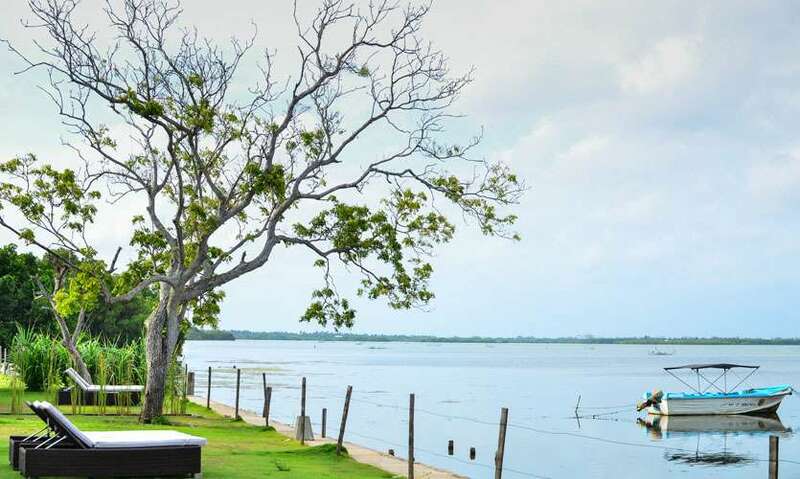 You walk into Arie Lagoon and feel instantly comforted by its open spaces and homely vibe. 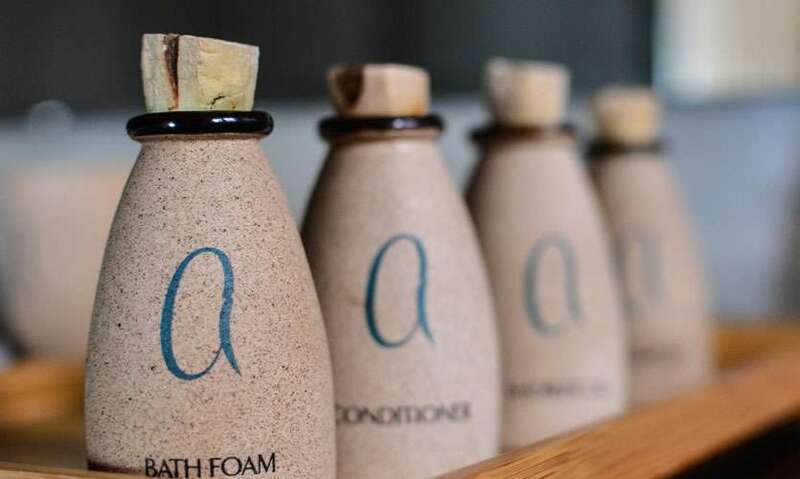 The atmosphere at this luxury hotel is non-pretentious and easy, with plenty of cozy nooks to help you enjoy a restful holiday. Located in close clusters, Arie Lagoon has 55 villas, including family units with twin bed options and interconnecting rooms, making it the ideal choice for large family gatherings and corporate outings. 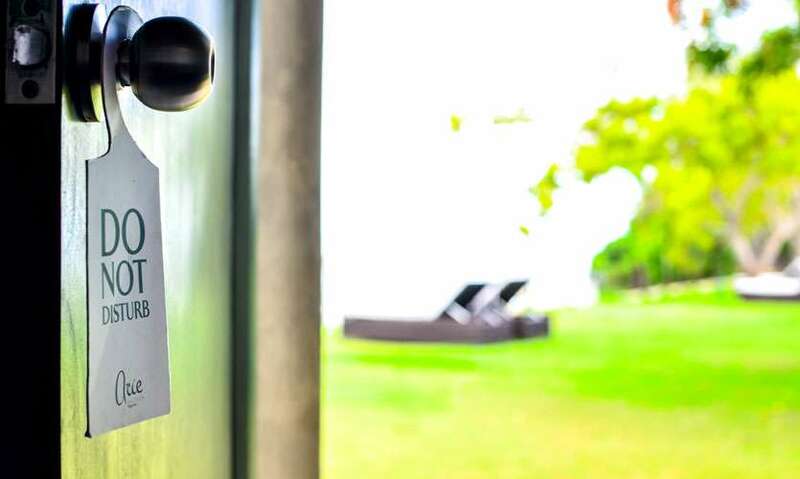 The villas are very different to each other in character, offering everything from lagoon views, garden views, magnificent open-air bathrooms and private plunge pools. The lagoon view room I stayed in was spacious and inviting, with a four-poster bed, ceilings with a distressed white look and green paneling on the doors that blended well with the surroundings and added so much charm to the space. I love the minimalist furnishings and the addition of a music player, and most of all the French windows that opened up to the lagoon. It was truly a sight to behold. Since starting operations, a year ago, Arie Lagoon has become a much sought after space for private events and gatherings, thanks to their versatile and accommodating chef and team, who have mastered the art of conjuring delectable cuisines tailor made to suit the themes and needs of hosts, from Mexican to Continental, from Sri Lankan to Tapas, his versatility shines through. Arie Lagoon has a designated kid’s play area in the garden and is in the process of creating a kid’s play center, equipped with the latest games and toys needed to keep their young guests entertained for hours, giving the mommies and daddies plenty of time to unwind and reconnect. The hotel has two pools, one located closer to the fitness center and Arie Spa, and other overlooking the lagoon, adjacent to the all-day dining Banana Pawn restaurant and Crab Claw bar. The hotel offers an impressive choice of indoor and outdoor options with both lagoon and garden views, including a banquet hall that can host up to 450 guests. For dinner, I was served a set menu featuring a few specialties from the Banana Pawn restaurant. I loved the lengths the staff at the hotel had gone to make me feel special, setting up a table on a grassy patch facing the lagoon, under twinkling lights, setting the mood for a relaxed dinner under the stars. Dinner started with a prawn salad, with plenty of prawns to go around, apples for a bit of crunch, olives for a touch of tartness and thinly sliced radishes. Next up was the zesty orange and carrot soup with refreshingly strong citrus flavors. 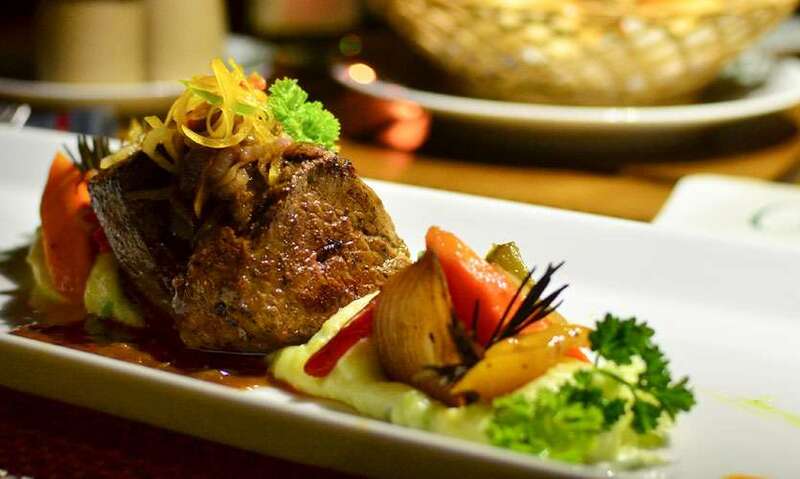 The highlight of the meal was my pick for the main, a juicy medium steak, cooked to perfection accompanied by caramelized onions, charred vegetables, and mash with peas. A shortened version of breakfast was served the breezy Kalapuwa Lounge, which included favorites like string hoppers served with gravies and sambols to go, an assortment of breads and buns and usual breakfast selection.